New! Blazer in stepped jersey with epaulets with Rhinestones. 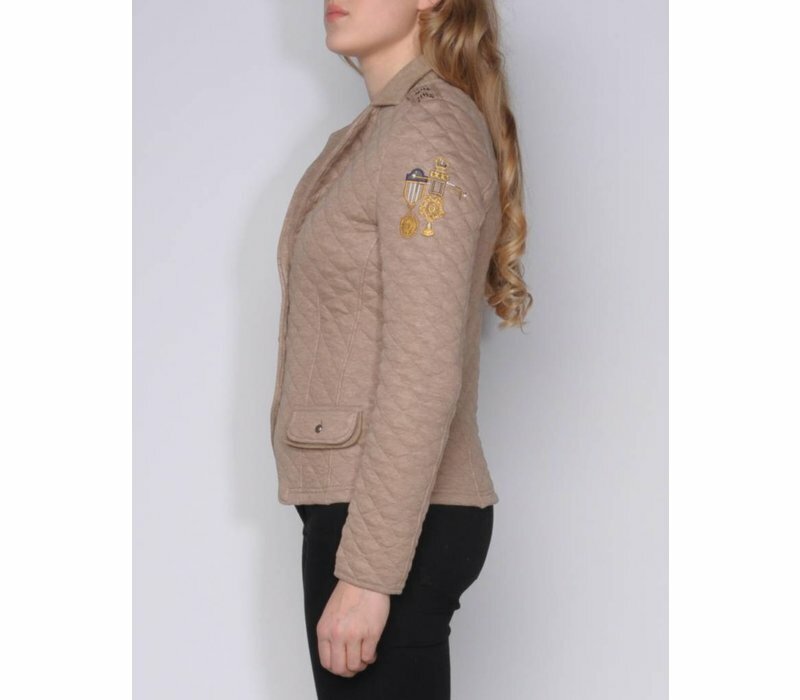 Super stylish sporty blazer with refined luxury artwork on left sleeve, fake-flap pockets and a three button closure.